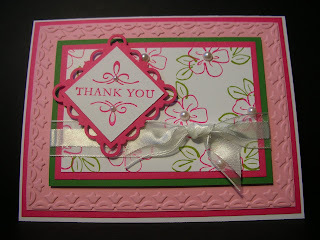 I made this card on the day that I was playing around with the Scallop Border and Scallop Corner punches. 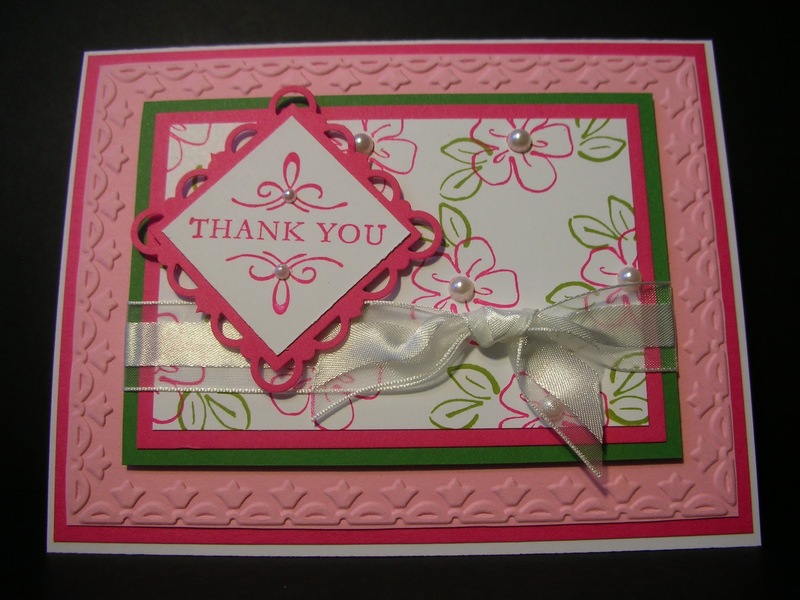 In a video, Bonnie Thurber of Stampin' Up! showed how to make a simple scallop square (say that three times fast!) using the Scallop Corner punch. Just cut a 2" square and then punch the top, then the bottom and finally the two sides. It perfectly makes this little scallop square! I dusted off my Flower Fancy set which hasn't been used in a long time but I just love how this turned out. The pearls fit perfectly into the center of the flowers too! Keep your eyes out for an upcoming Technique Tuesday where I will show you how to get the Scallop Border and Scallop Corner punches to work for you!